Batman vs. Superman production is not getting delayed, and the "main players" are now being called in to start right away. 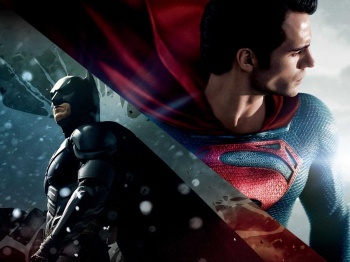 Just last week, we reported that Warner Bros. delayed the release of the Man of Steel sequel tentatively titled Batman vs. Superman into 2016. However, it seems this won't affect the film's production date one bit contrary to rumors. According to Deadline, Ben Affleck (Argo), who's set to appear as Batman in the film, has dropped out of directing the FOX pilot The Middle Man since "production is not being delayed and the main players have been summoned to start work right away." One of these "main players" is Fast and Furious star Gal Gadot, who has signed a three-picture deal with Warner Bros. to play Wonder Woman on the big screen. This certainly bodes well for DC fans who've been itching to see a live-action showdown between Batman and the Big Blue Boy Scout but let's hope Warner Bros. doesn't rush the film just to get some of that Avengers movie money. Batman vs. Superman will star Henry Cavill as he reprises his role as the Last Son of Krypton along with Affleck and Gadot, with Zack Snyder (300) helming the flick for release on May 6, 2016 -- which is set to pit it against an unannounced Marvel film. Who do you expect to be the victor between Batman vs. Superman? Or do you expect Znyder to play it safe and have the fight end in a draw before the big villain comes into play?